Day One clinics are intended to be short, content-rich, “nuts-and-bolts” presentations to assist instrumental music educators in starting students properly on their instruments. These sessions will also be of great benefit for any teacher in need of a primer for a proven method of achieving success. Presented by master teachers who have demonstrated proven success in providing sound pedagogical methods for teaching beginning students (or for assisting more advanced students who may have developed habits that are detrimental to producing characteristic tone, and/or facilitating technique sans the impediments concomitant with bad habits), Day One clinics will take place in intimate and personal space so that each attendee can see exactly what pedagogical techniques are being demonstrated. For 2018, the Day One clinic sessions will focus solely on brass instruments. 2019 will feature strings, woodwinds, and percussion instruments. Lynne Jackson is currently in her 49th year as a music educator. She has degrees from the University of Michigan and Vandercook College of Music. Ms. Jackson is an Adjunct Assistant Professor of Music Education at Southern Methodist University and also teaches at Berkner High School in Richardson, Texas. After beginning her career in southwestern Michigan, Lynne moved to Texas and spent 26 years teaching in Richardson as a member of the J.J. Pearce staff. In 1983, Ms. Jackson was selected as a Richardson ISD Teacher of the Year. In 1995, the National Endowment for the Humanities awarded Ms. Jackson a grant to study Mozart in Vienna, Austria and Prague, Czech Republic. Since that time, Ms. Jackson has traveled and taught extensively throughout Europe, Asia, South America and Canada. Recently, Ms. Jackson served as a faculty member for CSI Chengdu, China where she has worked closely with music educators and students on two separate occasions. In 2010, Ms. Jackson was awarded the Meritorious Achievement Award by the Texas Bandmaster’s Association. In 2016, Lynne was inducted into the Phi Beta Mu Texas Bandmaster’s Hall of Fame. In addition to her membership in the Texas Bandmasters Association, Ms. Jackson’s professional affiliations include Phi Beta Mu and the Texas Music Educators Association. Lynne is the founder of Young Educator Seminars, YES, which offers continuing professional development to North Texas music educators. 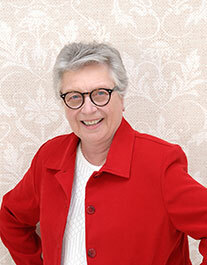 Lynne is widely known throughout Texas as a clinician, and mentor to young students and teachers. Matt Koperniak serves on the Music Education faculty of Georgia Southern University (Armstrong campus) in Savannah, GA. Previously, he served as Director of Bands at Riverwatch Middle School from 2008-2018. Under his direction, the Riverwatch Symphonic Band performed at The Midwest Clinic, National Band Association/CBDNA Southern Division Conference, Music for All National Concert Festival, and “Strike up the Band” on WABE 90.1, National Public Radio. Under his direction, the Riverwatch Band Program received the National Blue Ribbon Middle School Program of Excellence and the Sudler Silver Cup. Dr. Koperniak currently serves as State Band Chair for the Georgia Music Educators Association, and he is a member of Phi Beta Mu International Bandmasters Fraternity. He serves Phi Mu Alpha Sinfonia as National Executive Committeeman-at-Large and Chair of the Commission on Standards. He serves on the Board of Directors of the National Band Association as an At-Large representative, and previously served as a member of the NBA/Alfred Young Band Composition Contest committee. He has been published in Music Educators Journal and International Trombone Association Journal, and he has presented music education research at the NAfME national research conference. He currently serves as Associate Editor of the peer-reviewed journal TOPICS (Themes, Opinions, Praxes, Innovations, Curriculum, and Strategies), published by the MayDay Group. Dr. Koperniak received degrees in Music Education from Boston University and the University of Georgia, and he is a 2017 recipient of the UGA Alumni Association’s 40 under 40 award. Technical Sgt. 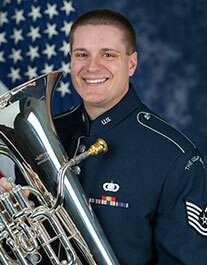 Erik Lundquist is a euphoniumist with the Ceremonial Brass, The United States Air Force Band, Joint Base Anacostia-Bolling, Washington, D.C. A native of Jamestown, New York, he joined the Air Force in 2016. A 2014 graduate of the University of North Texas, Lundquist earned a Bachelor of Music degree in Music Education and Performance. In 2016, he received a Master of Music degree in Performance from the University of North Texas. 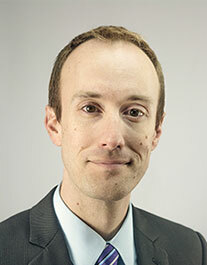 His teachers include Dr. Brian L. Bowman, Dr. Jamie Lipton, and Rick Lundquist. From 2012 to 2016, he taught masterclasses and private lessons in the Denton, Lewisville, and Frisco Independent School Districts. In the Spring of 2014, Lundquist completed his student teaching at Berkner High School and Liberty Junior High School in Richardson, TX under the supervision of Frank Troyka, Chris Pineda, and Lynne Jackson. During his time in Texas, Lundquist won the 2016 International Tuba Euphonium Association Mock Euphonium Audition and took second place in the Falcone International Tuba Euphonium Competition the same year. Also in 2016, he was named Outstanding Graduate Student in Brass. His professional affiliations include the International Tuba Euphonium Association and the International Women's Brass Conference. Since joining the United States Air Force band, he has presented masterclasses and recitals at the 2018 Mid-Atlantic Regional Tuba/Euphonium Conference, the 2018 Midwest Regional Tuba/Euphonium Conference, the 2018 Army Band Tuba/Euphonium Workshop, the New York State School Music Association Winter Conference, as well as Kennesaw State University, and Reinhardt University. Air Force career highlights include performances on NBC's Today Show, the 2017 Presidential Inaugural Parade, and the 2017 Macy's Thanksgiving Day Parade. Jason Schayot is Fine Arts Coordinator and Director of Bands at L.V. Berkner High School in the Richardson ISD where his responsibilities include serving as the conductor of Symphonic Band I, coordinating the marching band and co-conducting the Berkner Symphony Orchestra. Most recently, the Berkner Mighty Ram Band performed at the 2016 UIL State Marching Band Championship and the Symphony Orchestra performed at the 2016 Midwest Clinic in Chicago. Mr. Schayot is currently in his 21st year of teaching. Before coming to Richardson in 2011, he served as Director of Bands at Georgetown High School in Georgetown, Texas. Under Mr. Schayot’s leadership, Georgetown consistently received UIL Sweepstakes awards and advanced to the Area level in TMEA Honor Band competition. In addition to his work at the high school, Mr. Schayot also worked at the middle school level in Georgetown as Head Band Director at Forbes Middle School and Associate Band Director at Benold Middle School. Before coming to Georgetown he was the Band Director at Giddings Middle School in Giddings, Texas, for three years. 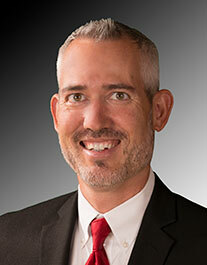 Mr. Schayot holds a Bachelor of Music Education degree from Southwestern University in Georgetown, Texas. He is a member of the Texas Music Educators Association, the Texas Bandmasters Association, Pi Kappa Lambda National Music Honor Society, Texas Music Adjudicators Association and Phi Beta Mu - Alpha Chapter. Patrick Sheridan is one of the most celebrated tuba soloists in his instrument's history. He has performed more than 3,000 concerts in over 50 countries in venues ranging from the White House to NBA half-time shows to the Hollywood Bowl. He is a former member of "The President's Own" United States Marine Band and has been featured on NBC's "Today Show" and NPR's "All Things Considered." Beyond his busy performing life, Patrick's commitment to education is extensive. His wind students occupy positions in major international ensembles. 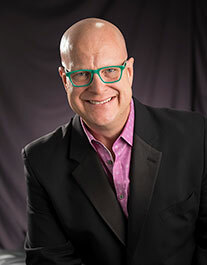 Mr. Sheridan has served on the music faculties at Arizona State University, Northern Arizona University, The Rotterdam Conservatory, The Royal Northern College of Music and The Royal Scottish Academy of Music and Drama. He most recently served on the music faculty at the UCLA where he conducted the Brass Ensemble and Wind Ensemble and taught tuba/euphonium. Along with Sam Pilafian, he is the co-author of the world's best selling method for instrumental improvement, The Breathing Gym, which won the 2009 EMMY Award for Instructional/Informational Video Production. He is the Chief Design Consultant for Jupiter Band Instruments and XO Brass. In the community, Patrick is also the Music Director of The Salt River Brass. Patrick also frequently works across the United States as a guest conductor with university bands and orchestras as well as high school and middle school all-state and regional honor bands and orchestras. Patrick is a member of ASCAP, an honorary member of Kappa Kappa Psi and a Trustee of The International Music Camp.